Racism is becoming more normalized in Sweden – in all of Europe, I dare say, and people with xenophobic views who previously kept quiet about their views now feel more free to express them openly. Still, most of them reject the label of being racist. 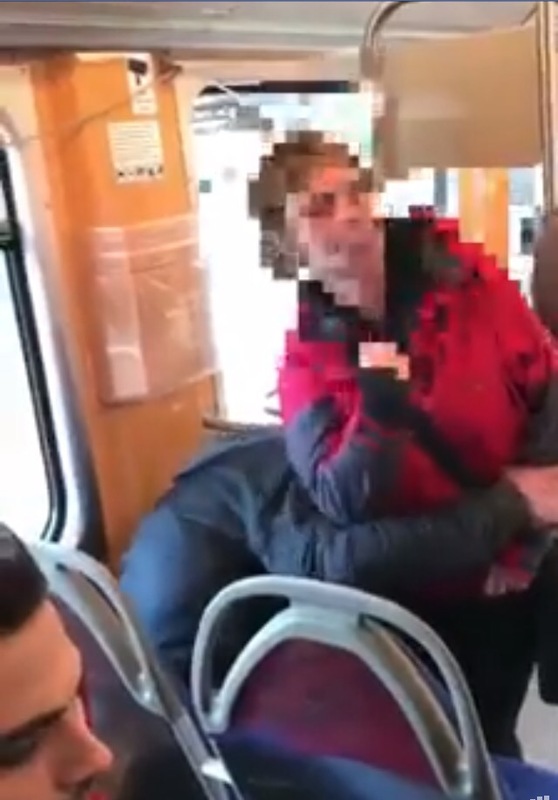 A young Syrian man in Sweden recorded this woman on a tram in Gothenburg, Sweden, when she verbally abused him and his friends. Check the video out on his Facebookpage. She gets 3.800 SEK a month, while “they” (presumably the young man and his friends) are receiving 8.000 SEK a month, to study Swedish for immigrants. And at the end of her speech, she states that she obviously has the wrong skin colour, white, in Sweden, but even if she does, she still has the right to have opinions in her own country, and she’s not a racist. Now with this kind of narrow definition, who is really left to be a racist? I’m sorry you had that experience. Really. The good in people will win. Hatred never did anything good. Stay strong.